To all the veterans in my world, I thank you and share the day of remembrance for your willingness to serve our country. As is my custom, I am again highlighting four of my fallen friends who died while serving in the late 1960’s during the Viet Nam Conflict. Other friends who served include Lou, Charles, Skeeter, Stevie, Carlos, David, Gene, Fred, Jim, Adam, “Duck” Montgomery, and many more. I salute each of you and continue to stand proud to be associated with these veterans. Several of you commented on last week’s letters placed in my Post. Thank you f or recognizing the progress and the educational challenges the students face. We all seem to be in agreement that our support is helping make a difference. I am adding a couple more letters for your reading pleasure. Margarita is eleven years old and I have met her. She is truly a very talented young lady with a great deal of promise and potential. She is also a star performer in the Spelling Bee world. Amy is younger and shows a lot of promise as well. She is only eight years old and her penmanship is really very good. The impact the Copey Learning Center is having on their students is remarkable and the development of an upcoming generation of English-speaking citizens will produce amazing results. Being around the Emory &Henry College campus this past week was very enjoyable and rejuvenating. The number of “Friends of Copey” continues to grow among alumni and those already on board remain solidly committed to the “Pathway Project”. Just by pure chance I met Matt as we were walking along the sidewalk across campus. We just happened to notice each other. Matt was the E&H student volunteer who spent this past Spring in Copey with Kara. He is still so enthused about his time spent in Copey and it is wonderful to see the after-glow of excitement and his wonderful memories still living on. On campus, the college recruiters have included Copey as part of the information used to attract new students. Kara is featured in the latest material produced. All this points to the journey we have traveled building a strong and meaningful partnership with the college. We may be one of a very few partnerships with this type of “on the ground” relationship. This is just one more thing to be extremely proud of as “Friends”. Loved reading the letters from Margarita and Amy. They both write English well. 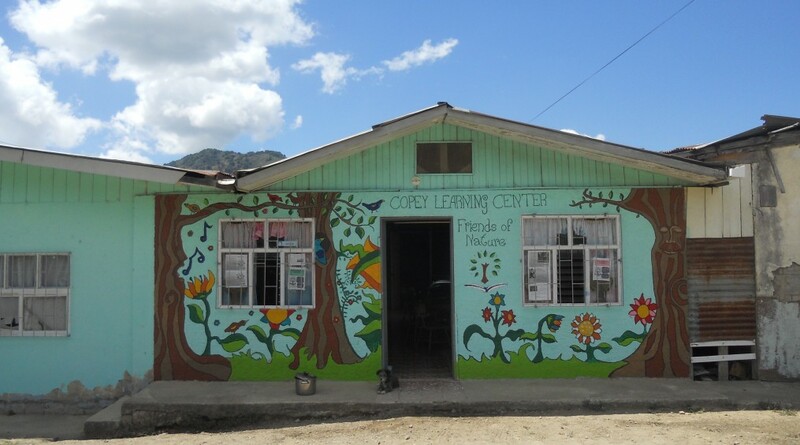 I am proud to be a part of their learning experience and will continue to support the efforts of education and cultural exchange with Copey Learning Center. It is one of the joys of my life to know my small effort can make a big difference. So happy to call you “Friend”. Thanks. Kay, you are one of the strongest home town “Friends”. Thanks so much for all of the support and encouragement. Kay said it all and I ditto her sentiments. Thank you Art for making your light shine thru so many . Thank you…but as you know many share in the praise for this work. I am sure those letters touched you, Grandpa. You can continue to inspire me and so many others everyday! Thank you for the note. You also inspire me. Thanks.